Russ Nugent lives in Lowell, Arkansas. 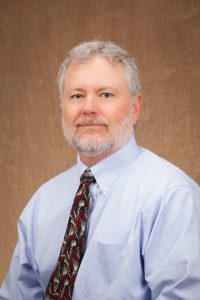 As the Director of Technical Services for The Pork Group, Inc., he is responsible for swine veterinary health, nutrition, genetics, welfare, and research. The farrow-to-finish operation markets 1.125 million pigs annually. Russ has served on the National Pork Board Swine Health Committee since 2012 (Chair, 2014-2018) and numerous task forces and groups including Swine Health Information Center funding committee, Feed Biosecurity Risk committee and the PEDV Strategic Taskforce for NPPC, AASV and NPB. African swine fever (ASF) in China and our need to engage federal and state government to be prepared in a much more modern way is a major issue in the pork industry. We need to ensure export markets stay open if only a small portion of U.S. or North American production is suspected or known to be infected. The main goal of the Checkoff is to identify, fund, execute, and deliver in areas where the industry does not have another clear, effective avenue to accomplish necessary goals. The industry has evolved, the mission of NPB needs to evolve to meet that changing environment to ensure Checkoff dollars have the impact they need to have. It has been a pleasure to serve as the chairman of the Swine Health Committee since 2014 and a member since 2012. Considering my time as chairman is coming to an end, I want to continue having great experiences with NPB and actively contribute to the industry. I have also been encouraged many times by many people to consider running for a Board seat.